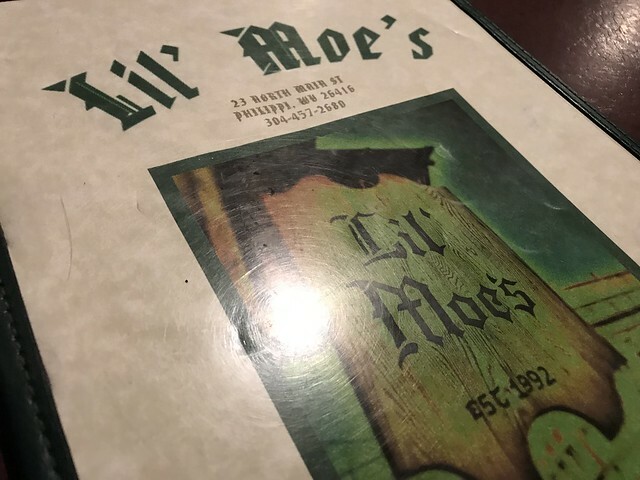 Lil' Moes is a Philippi restaurant that has been around for quite some time. 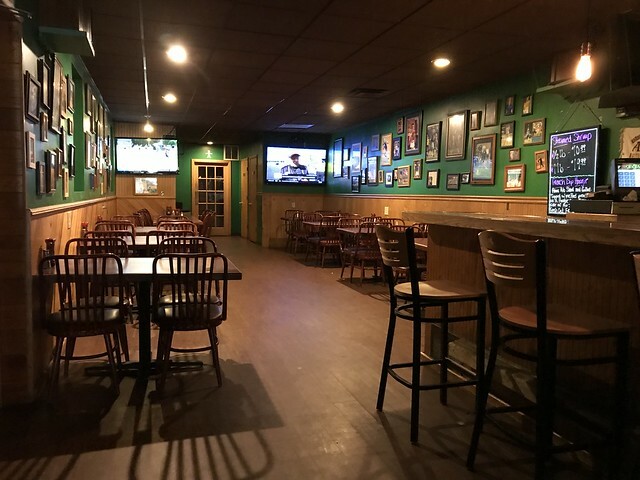 It's a bar atmosphere, and it's long and narrow but with a surprising amount of space. 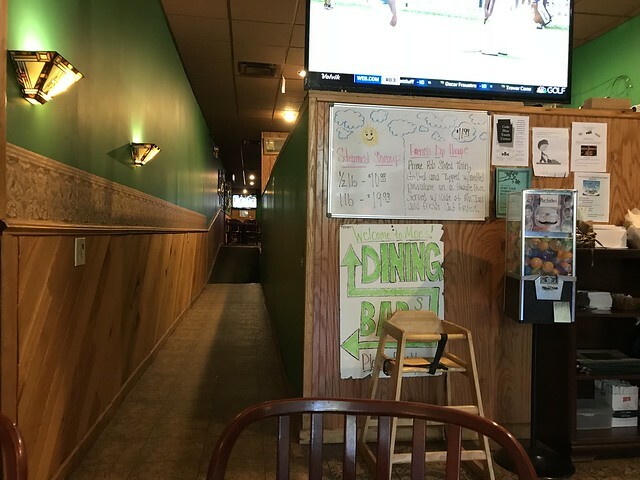 I wasn't super hungry, but I definitely wanted to get a bite to eat. 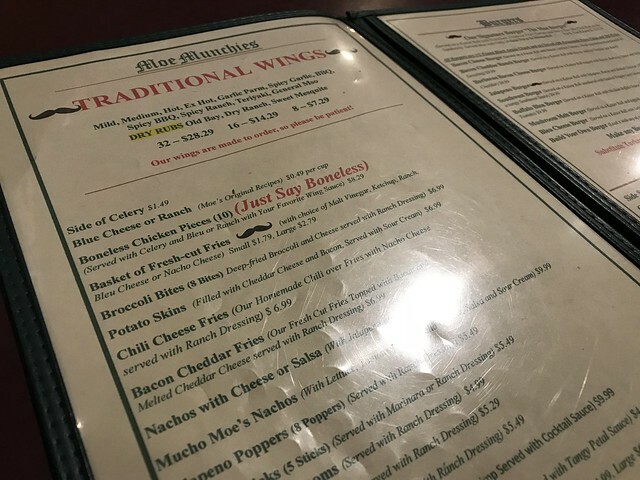 I ordered boneless wings (I know, I know, but they're easier to eat). 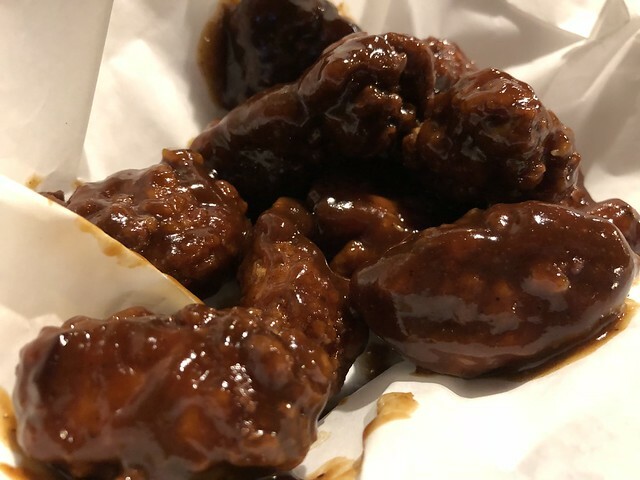 These are honey bbq with bleu cheese. 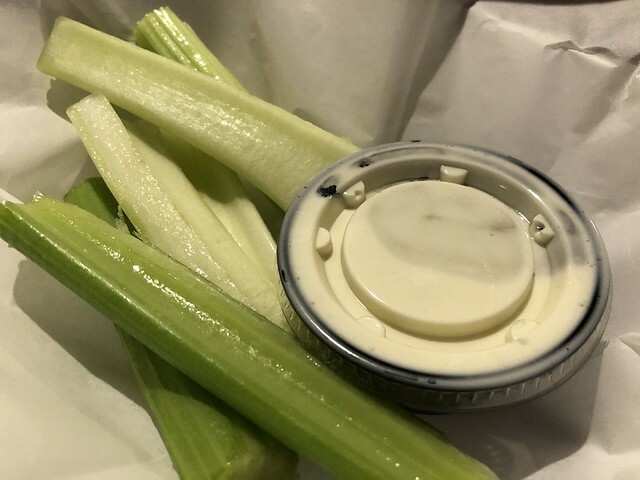 I never eat the celery - because it may be the worst vegetable ever created - but if you're eating hot wings, it can be a godsend. AND DON'T LOOK BELOW if mummies scare you. 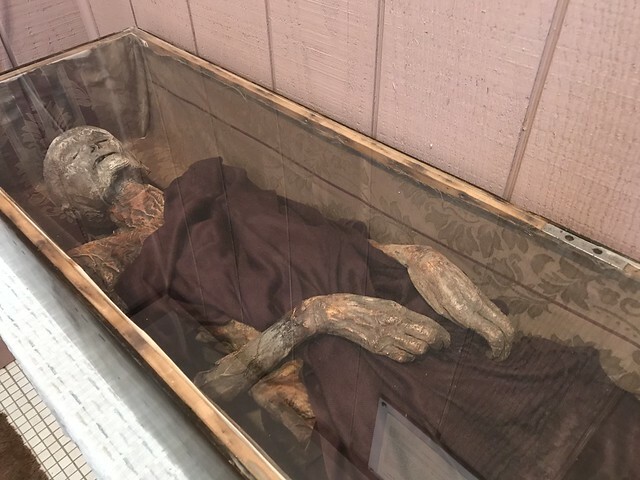 I checked out the mummies at the Barbour Historical Museum!